Kapost provides business-to-business (B2B) marketers with professional services and online tools to help improve their content operations. 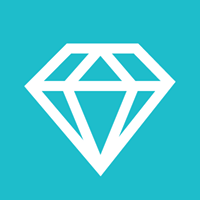 It enables users to plan their content strategies, manage campaigns, collaborate with teams, and analyze the effectiveness of their marketing activities. In this article, we cover user reviews and pricing. Ready to try Kapost? Request a demo. As of the date this article was written (11/26/18), there are not a lot of up-to-date positive Kapost reviews online. However, some users mentioned that they enjoy using the platform given that its editorial calendar enables them to see a project’s tasks, timelines, and progress. One user who left a positive review of Kapost on Capterra said that its expansive editorial calendar helps him manage his content creation activities more efficiently. He added that tracking a project’s status and its related tasks have become easier. There are very few up-to-date negative Kapost reviews online, though some users dislike that its interface is not intuitive, while others wish for more system enhancements, such as improvements to its workflow tool and search functionality. One user who left a negative review of Kapost on G2 Crowd commented that its search feature should be refined. He also noted that the platform has limited drag-and-drop capabilities and that some of its workflow steps don’t automatically re-order whenever there is a change in task dates. 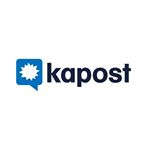 Kapost offers a paid subscription plan that starts at $3,500/month. Interested users may request for more pricing information by contacting Kapost’s sales team. Ready to try out Kapost? Request a demo. Can users share content files that were uploaded onto the platform with non-Kapost members? Yes, they can share content files with non-Kapost members by sending them a link to the documents. However, users need to change their File Privacy settings to grant anyone with the URL access to files uploaded to Kapost. What is the difference between Kapost’s Fixed Deadline and Smart Deadline calendaring options? With Fixed Deadline, users can specify the exact date and time that a task and its respective content are to be completed. On the other hand, Smart Deadline enables users to choose a deadline that is dependent on another task, such as identifying the number of days that an editing assignment is due after the “create content” task has been completed. Not sure if Kapost is the right fit for you? Read our reviews of all top content marketing software providers or check out one of these three Kapost competitors.